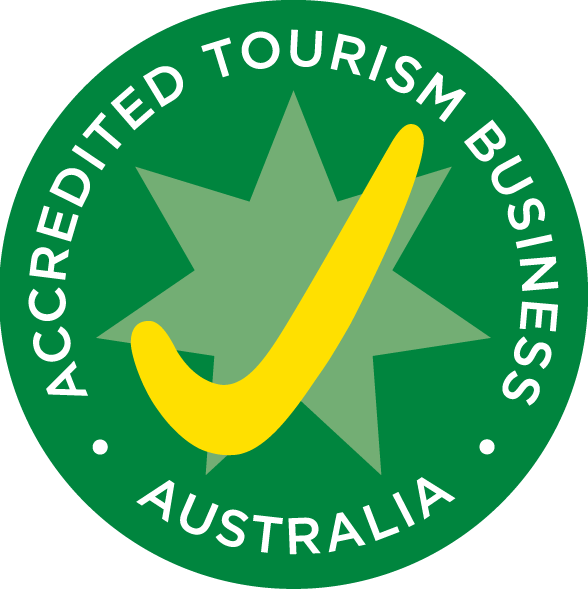 All our tours cater for both experienced walkers and those who haven’t done a great deal of bushwalking. 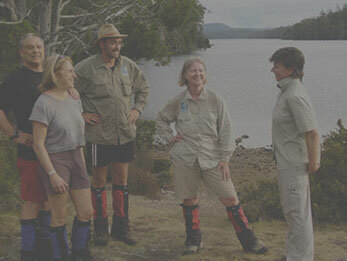 We offer tours to a variety of destinations: either camping or lodge-based overnight bushwalking tours, or day walking tours from either accommodation in Hobart or with fully serviced accommodation packages based at our wilderness retreat at Base Camp Tasmania. For independent walkers and travellers we can also ‘unbundle’ our tour services and supply any of the individual elements as required (eco-interpreter guides, bus transfers, accommodation, lightweight food, fuel, National Park passes, equipment and clothing hire, etc). 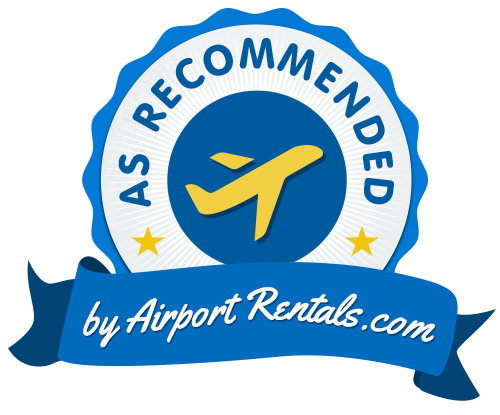 Our tour guides are all suitably qualified academically and by experience, and all hold First Aid and Food Handling qualifications. We do everything for you but the walking! 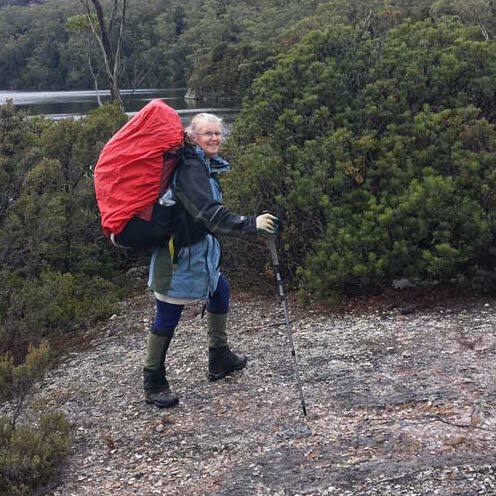 We provide a range of practical services to suit either beginners or independent bushwalkers, including fully guided bushwalking tours, a transport shuttle service from Hobart to all National Parks, comfortable accommodation, equipment hire and food for the track. We provide all the equipment and comforts to ensure that all you need to worry about on your walk is taking photographs of Tasmania’s remarkable landscapes, stunning wilderness, wildlife and fauna. 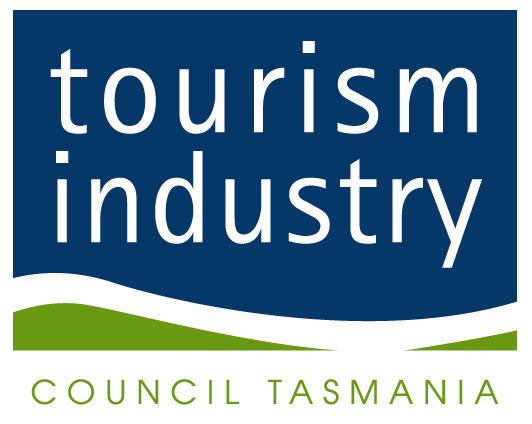 We want to share our love of the extraordinary diversity of Tasmania’s unique wilderness areas with other Australians and visitors to our country by Walking Tasmania with you! 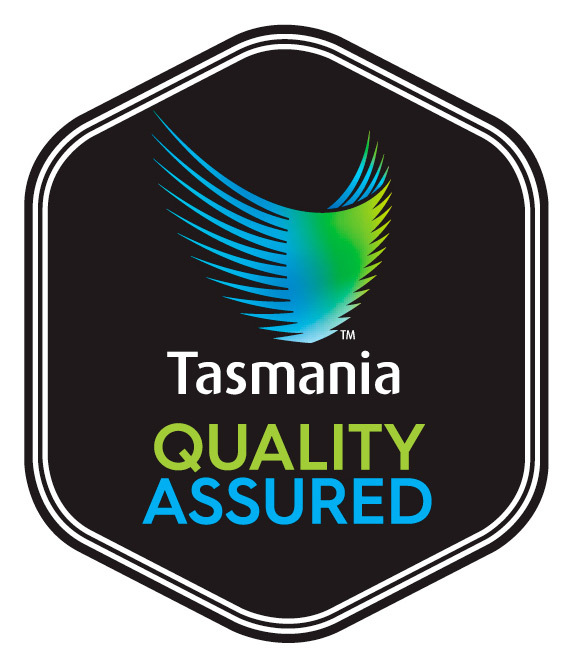 We hope you will enjoy your experience in Tasmania and that its wilderness will work its magic upon you. 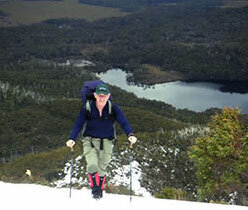 A client who recently completed our Hiking Highlights of Tasmania Tour sent us a link to her blog. It sounds as though she thoroughly enjoyed her holiday with us. We hope to see her back in Tasmania again soon. 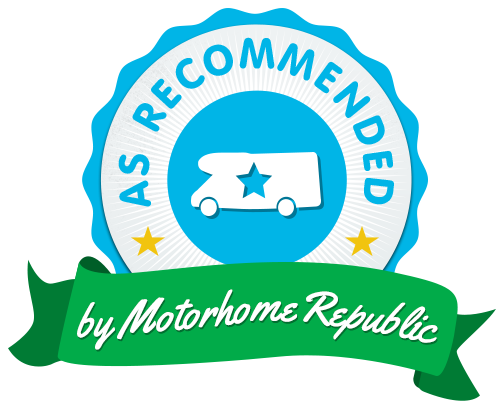 Click here to read her review of our Tour and click here to see her photos of our Tour. “Base camp Tasmania is the home ground for Tasmanian Wilderness Experience, who did a fantastic job getting our gear together for the Overland Track. We stayed there after having finished walking this fantastic 6-day walk. Apart from the excellent service by picking us up at Lake St Clair, we enjoyed staying at the Base Camp for only one night. Beautiful surroundings, great wildlife and for us the perfect getaway before going back into the “real” world in Hobart. 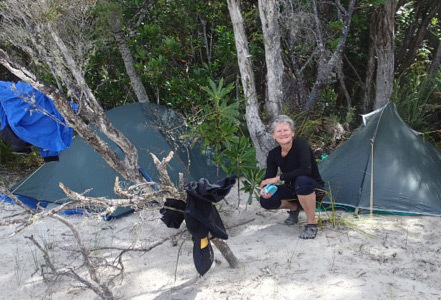 “I recently completed a four day walk in the area, organised by Tasmanian Wilderness Experiences, and stayed before and after the walk at Base Camp Tasmania. 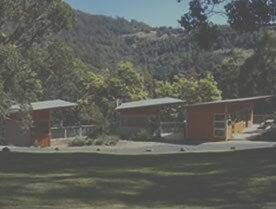 Base Camp provides very comfortable accommodation with a beautiful outlook and native animals to enjoy. Thanks to Graham for ensuring my needs regarding gluten free food were met both at the camp and whilst on the walk. 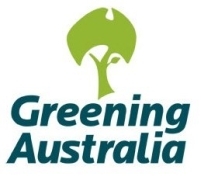 Graham’s association with Tasmania began during the 1950s as a young teenager when he hitchhiked around the island camping and using YHA Hostels. His love for Tasmania’s national parks was further influenced by Sir Edmund Hillary with whom he was fortunate to spend a week at a mountaineering camp in 1960, snowed-in during a blizzard at Mt Field National Park. John has discovered life after the Public Service as a tour guide! 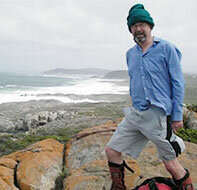 He has had a lifetime interest in leading bushwalks that has ranged from ‘peak-bagging’ to ambling along admiring the wildflowers – more leaning towards the latter nowadays. This interest has spawned some 1400 media articles in a regular newspaper column, and a rather higher number of bushwalks. Ken has been enjoying the outdoors since attending a primary school camp in Lamington NP many years ago. An active bushwalker, he explored the rugged Scenic Rim of SE Queensland and trips to Nepal, India, France, Iceland, New Zealand and Tasmania. 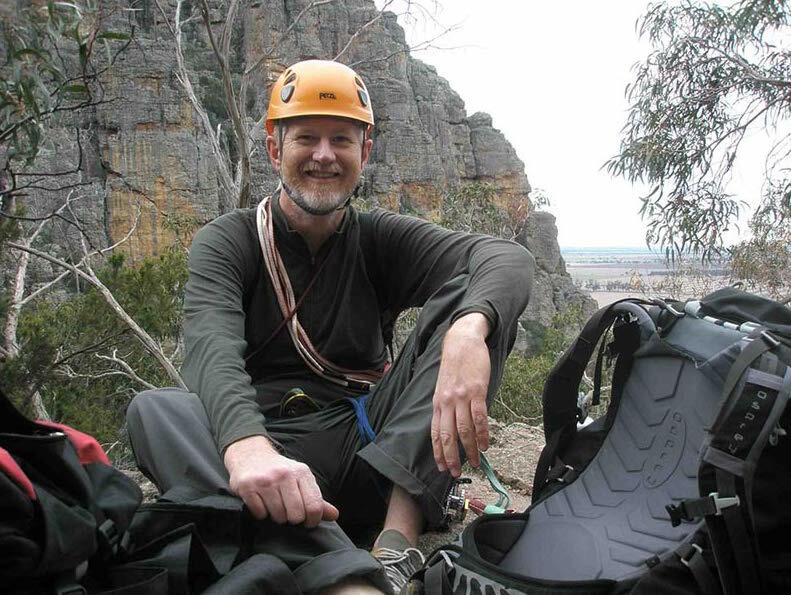 His 25 year career in medical science finished four years ago with a tree change to Tasmania enrolling in a Certificate IV Outdoor Recreation in Hobart. 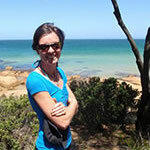 Madeleine somehow finds time to combine a scientific career (she’s an Oceanographer with a PhD in Physical Oceanography), motherhood (three children), rock climbing, kayaking and even competitive ocean swimming with bushwalking and tour guiding! She qualified as a guide in 2006 and has led many tours for us since then. Kate, a working mother of two and a passionate bushwalker, as well as leading our tours, still finds time in her busy life to volunteer with the State Emergency Service and the Scouts. 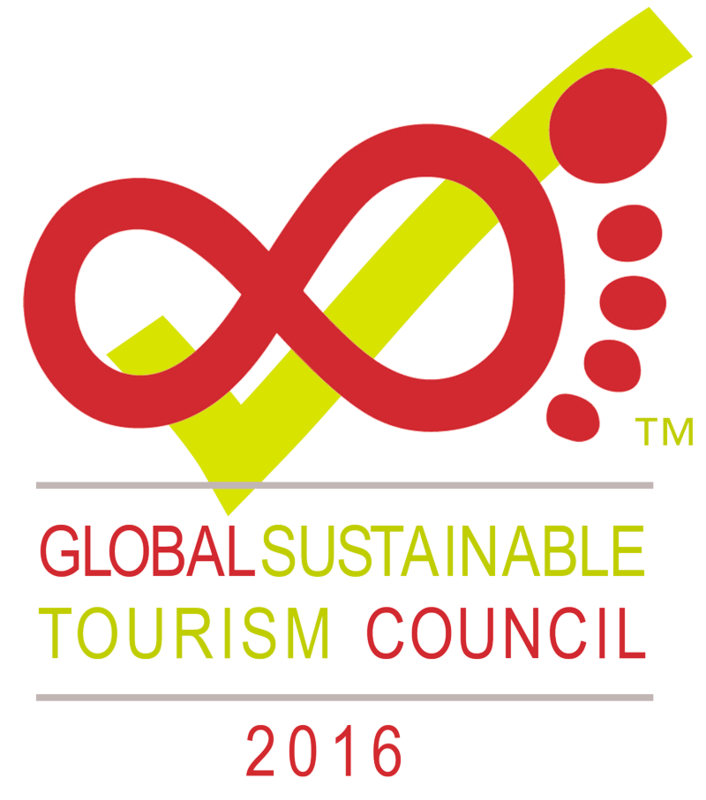 She is a qualified Eco Adventure Guide (Certificate III) and has been a Tour Leader now since 2006. 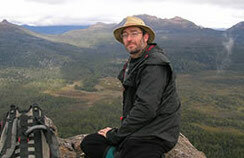 Greg, (with a PhD in ‘a bit of everything – fisheries crises in particular and understanding societal dysfunctions and sustainability failure in general’), has a varied background that includes remote area logistics and tourism, academia, and government natural resource science and management. 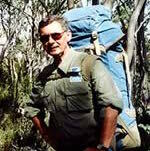 His passions include bushwalking, trout fishing, travel, reading and good conversation. 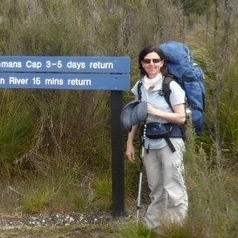 Born in Tasmania, Heidi loves showing off the island to visitors. 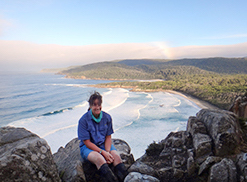 A nurse in her other life she feels that guiding is her more important work as it gives her the chance to enhance people’s experiences and appreciation of our amazing state. 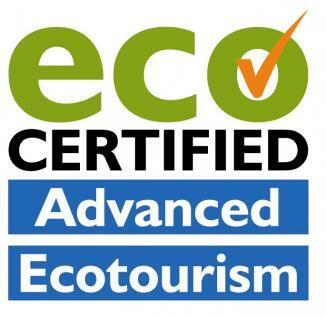 Heidi says that studying eco-guiding is THE best thing she’s ever done and believes that a guide can add to a visitor’s knowledge of how unique and important our wilderness is. Joe’s love of the outdoors has led him to accomplish a certificate in tourism, enabling him to participate in extended walking tours. He enjoys sharing the beauty of this enchanting island with others who appreciate the hidden treasures that can be accessed with each step that is taken. Maureen was born and raised in Tasmania and went to school in Sheffield. It was from here she first climbed Mt Roland as a 10-year old and subsequently first walked the Overland Track as a 16-year old. 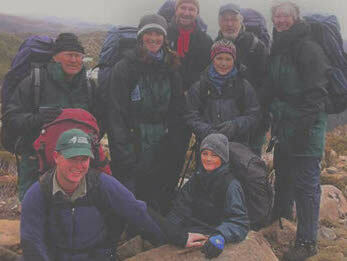 She joined the North West Walking Club in 1985 and became a regular walk leader for the club in 1990. Vale Glen: 1951 – 2014. You are sorely missed. 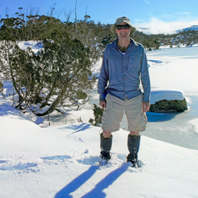 Glen, a former Survival Training Officer, Antarctica, and Station Leader, ANARE Macquarie Island, was one of our most senior guides with over 40 years of bushwalking experience in all seasons in Tasmania.